La Fromagerie was a very special find! 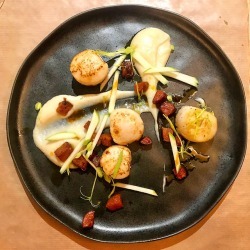 This is a low-key gem of a local Savoyarde restaurant on the side of the road between Viry and Valleiry in the Haute Savoie and only about 30 minutes from Geneva. 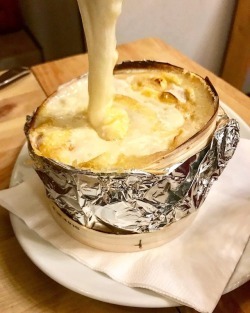 La Fromagerie is so much more than a restaurant, it is an epicerie selling local and fresh produce including a very large selection of around 40 local cheeses, charcuterie, honey, oils and freshly baked bread amongst other delights. On the evenings that I have eaten here, we have enjoyed a great relaxed atmosphere, friendly service and really good local cuisine. The restaurant was full too, so it is a good idea to book ahead as it is quite a small restaurant! 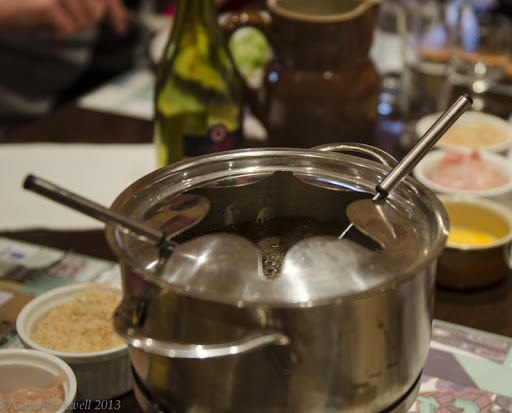 The menu offers a wide range of Savoyarde fayre, including fondue, raclette, reblochonade, berthoud, chapeau tatare, fondue bressane, tomme au four and 3 variations of a tartiflette. 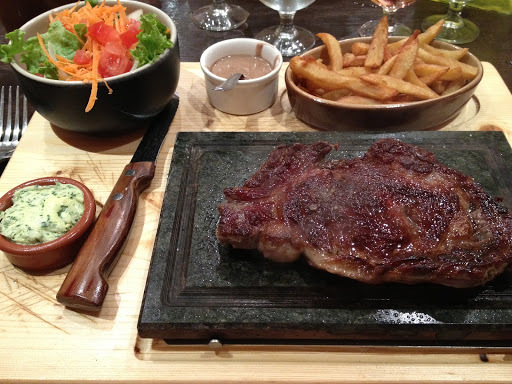 The menu offers salads and includes a meat section: Le Pierrade with 3 meats (hot stone cooking) and entrecôte and magret de canard served on sizzling slates. There is a small terrace at the front and an informal dining room inside. This is a ‘no-frills’ really good place for informal dining where children are welcome and the atmosphere is fun. It is a really great dining experience to discover the specialities of this delightful region. They are open from 5.30am every day for ‘le petit dejeuner’ and the shop is open until 20:00 on a Sunday, Monday and Tuesday, closes at 14:00 on Wednesdays, and is open until 23:00 Thursday – Saturday. The restaurant is open every day for lunch and Thursday – Saturday for dinner too. 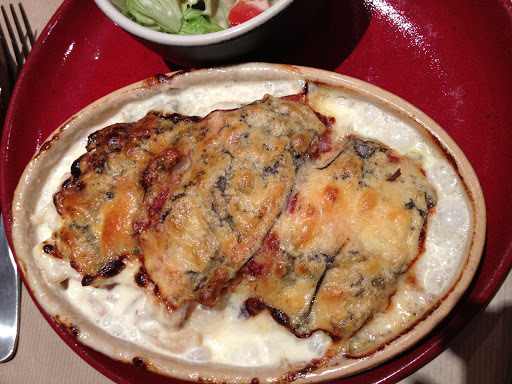 They offer a plat du jour at lunchtimes from Monday – Friday. or phone to book a table on 04 50 35 49 68.